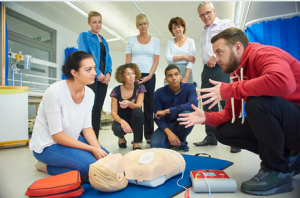 There has been much debate lately over the optimal amount of time to perform Cardiopulmonary Resuscitation (CPR) and whether or not the longer duration of CPR can increase survival rates. How long is CPR performed? How long should it be done and does the amount of time CPR is performed have any bearing on achieving spontaneous circulation or survival rates? A randomized, controlled trial of 69 CPR providers in the United Kingdom recently showed the increased efficacy of using real-time feedback by way of an infant resuscitation manikin.